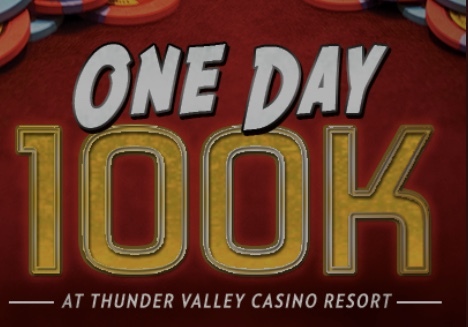 Saturday is one of the most popular @TVPokerRoom events each year - the OneDay$100,000 Guaranteed $460. Players begins the day with 20,000 stacks and play 30-minute levels all day long. Registration and a single re-entry per player is open through the first 9 levels, closing at about 4:05pm when cards go in the air to start Level 10. A 30-minute break is set at the end of Level 13 at about 6pm to grab a bite to eat and come back to play the tournament out to its conclusion. This event is the final tournament in the $100k series - with WSOP Circuit satellites beginning Sunday to get players ready for 12 Rings in 12 Days from Jan. 11-22.